Community members, partners, and supporters packed Global to Local’s office this spring for our first community open house. More than 150 guests of all ages joined us for fun activities, delicious food, and a chance to learn about our work. 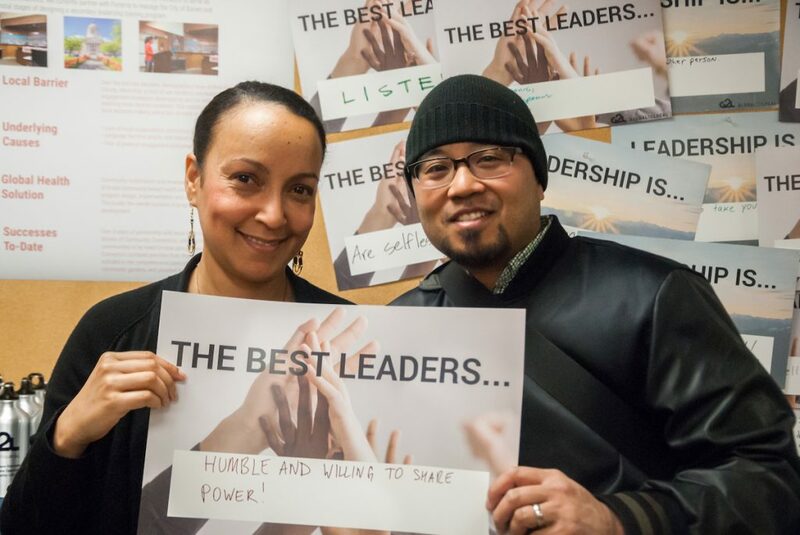 One popular activity invited guests to fill out signs sharing what leadership means to them. Our staff then spoke with participants about the importance of community leadership in deciding how systems serve them. In another corner of the office, guests spun a wheel filled with topics like “diabetes” and “public health vs. health care.” Lucky winners walked away with more knowledge about staying healthy and prizes for answering questions related to the topic they spun. Throughout the evening, guests learned more about the range of work G2L does, from organizing fitness classes to training residents to lead civic engagement efforts, and from operating the Connection Desk to supporting the Congolese Integration Network. Guests who were familiar with only some of our programs were excited to learn about other aspects of our work. Naija Buka and Soozveen Mediterranean Catering provided delicious food for the evening. 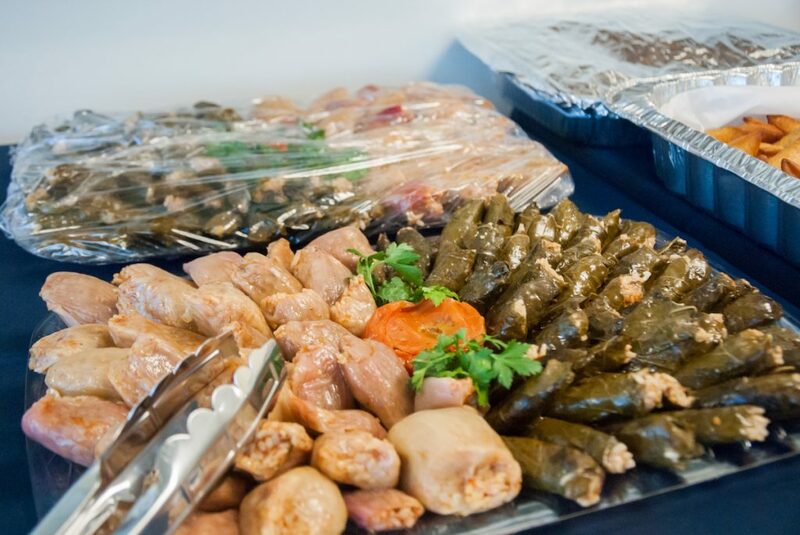 Both businesses are operated by food entrepreneurs who participate in the Incubator Program at Food Innovation Network, which was launched by Global to Local to create pathways for health, wealth, and success through food system revitalization in South King County. Grown-ups had a great time, but the kids seem to have had even more fun! We’re always delighted when families engage with our work, and we loved getting to know the next generation of leaders. Big thanks to everyone who made our open house a success! Special thanks to volunteer photographers Ken Tran and Cordell Pierce; you can see more of their photos on our event Facebook album. Join Team Global to Local at the River Run/Walk 5K in Tukwila on May 12! Register today for this family-friendly event. Enjoy Sherehe Kenyan Kitchen’s home-style cuisine at Food Innovation Network’s May 17 Taste Around the Globe pop-up dinner. Tickets are limited, so get yours now! 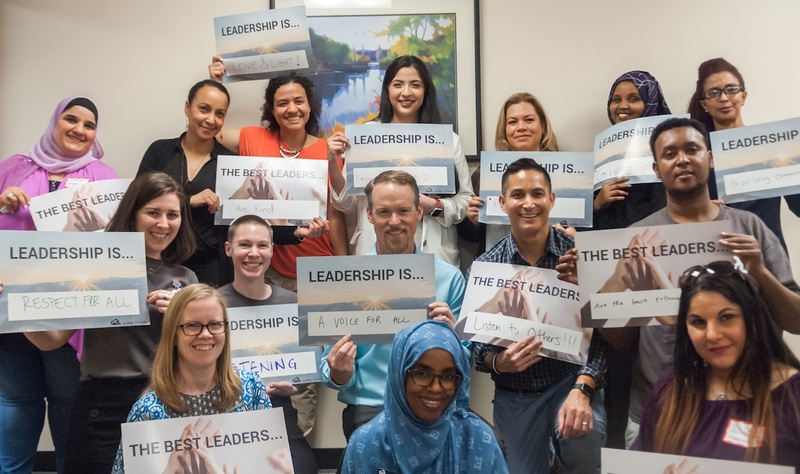 G2L staff share their ideas about leadership; Executive Director Adam Taylor’s sign reads, “Leadership is a voice for all.” Having spent eight years helping to build leadership in South King County and at G2L, Adam is moving on to new adventures. Image credit: Ken Tran. “A few examples of Adam and the G2L team’s work include development of a nationally recognized diabetes management program that utilizes highly efficient and cost-effective health promoters and a smart phone app that dramatically improves the wellness of users with diabetes. This program is now being launched in the Swedish System. Adam has also worked tirelessly with dozens of community partners and with support from the Seattle Foundation and King County to develop a Food Innovation Network that is launching new food businesses and improving access to healthy foods. 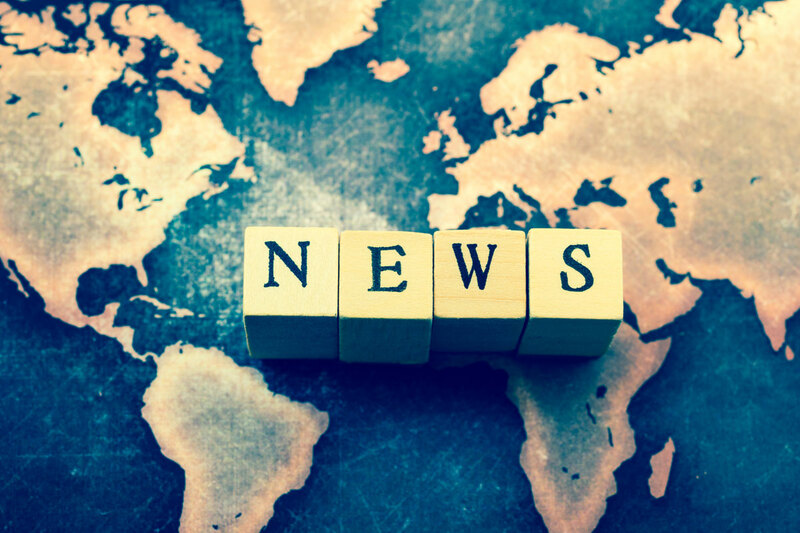 G2L’s board has already launched a national search for our next executive director, with the goal of having someone in place by the end of June. Details about the position are posted here; we hope you will share this opportunity with your networks. We will keep you updated through our email newsletter; if you aren’t already subscribed, we invite you to sign up now. Women-Only Fitness is a culturally appropriate fitness class tailored to meet the needs of our communities. 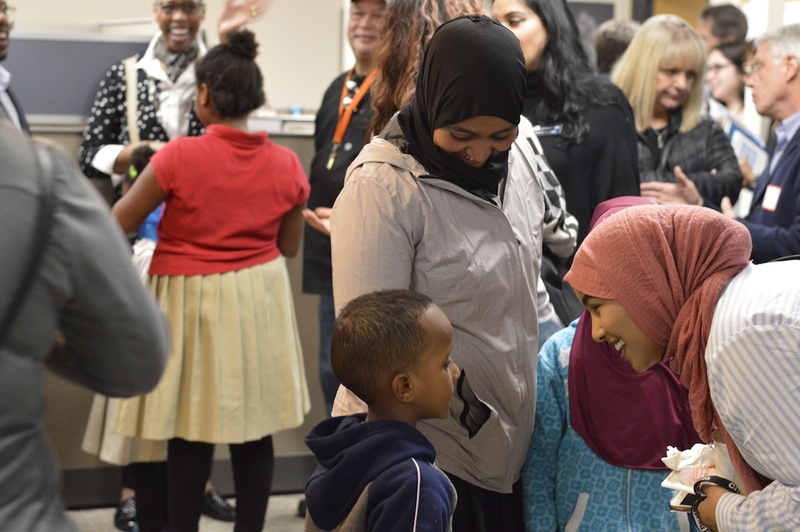 Specifically, the Somali women of Tukwila would not otherwise have a safe and comfortable space to exercise and work out together. It started as a fitness class but has become a community. We are Hiring for Two Positions! Global to Local is hiring one full-time Community Health Worker and one full-time Operations Manager. Check out the descriptions and apply today! We don’t talk much about our Jobs for Health program since our role at G2L was largely to facilitate partnerships and increase capacity for existing organizations (global health strategy #4: empower community based organizations). Lately, however, we’ve been making such exciting progress that we can’t help but share an update. Jobs for Health is a pilot program between Upwardly Global and Highline College’s Welcome Back Center. The goal was to help skilled immigrants overcome employment barriers while educating decision-makers about skilled immigrants and helping them to adopt more effective and inclusive practices and policies. 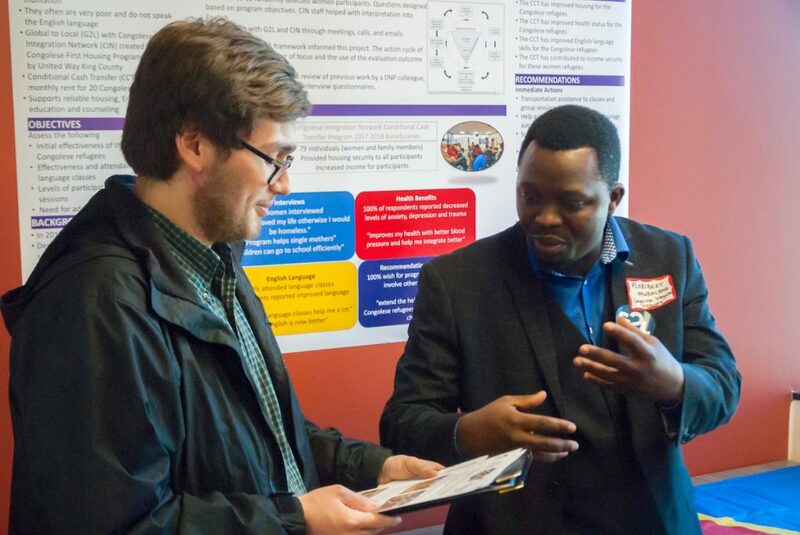 Jobs for Health specifically supports skilled healthcare employment, connecting immigrants with Swedish, HealthPoint, Providence, and Seattle-King County Public Health. Now, here’s the really exciting part. Already this year, the program has seen 5 job placements of highly skilled immigrants and refugees with an average salary of $77,000 (global health strategy #5: link health to economic development). The effects of a program like this have already been proven to be far-reaching, influencing not just the job seekers but the employer, the economy, and society at-large. Read more about this exponential impact at Upwardly Global. We’re partnering with The Prosperity Agenda and BECU to incorporate financial coaching and savings into the CHW health coaching (global health strategy #5: link economic development to health). TPA will be training the CHWs and BECU will be working with us to develop savings products, and possibly a lending circle. So excited for a site visit from Northwest Areas Foundation next week as they consider providing additional support to this program. G2L first heard from Monica Davalos, a mother and long-time Tukwila resident, at a “Community Conversation” where she shared her family’s daily challenges with health. 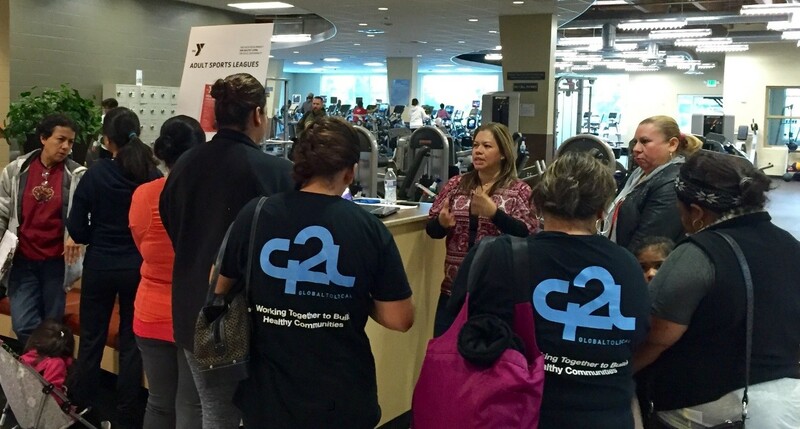 Monica’s common experiences has given her the insight that has allowed her to be successful in her role as G2L’s Latina Community Health Worker. Together with G2L, she channels the concerns and issues community members face and uses this platform to continuously listen and amplify the marginalized voices of others to bring better health to S. King County.